I should've learned by now not to listen to the weatherman. 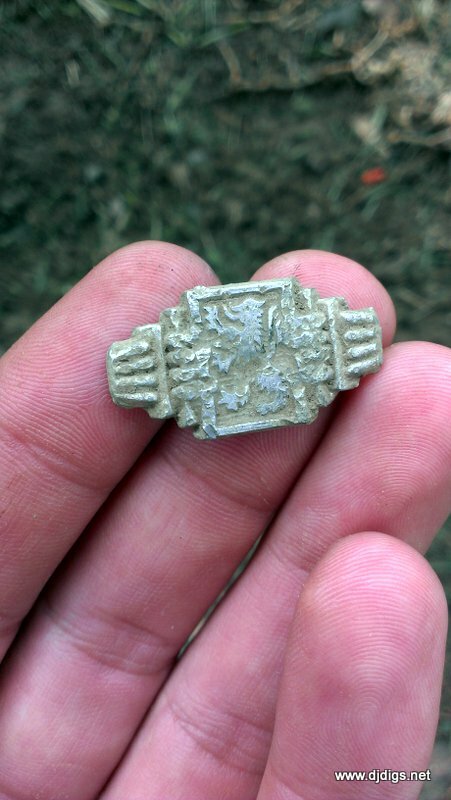 The forecast called for heavy thunderstorms throughout the area, so I did not make any plans to go out detecting. Of course, it didn't rain. So, I decided to check on a house where the homeowner said to come back when the ground was wet enough. I figured it would rain in the next day or two, so it would be a good time to try again. Sure enough, I got the go ahead. But when I started to detect, I barely got any good signals, and I decided it wasn't worth the risk of damage to the property. I packed up my truck and moved on. Out of nowhere, a childhood friend popped into my head. I was pretty sure I remembered digging in their backyard and finding stuff when we were kids. It was only a few minutes away, so I decided to stop over to his parents' house and ask for permission to detect. My friend moved away from the area years ago. I haven't seen him in what seems like forever. But there he was, standing on his parents' porch when I pulled up. So I approached the porch, where my friend, his parents, and another friend of theirs were gathered. After reminiscing for a few minutes with my friend, I turned my attention to his parents to ask if I could do my thing. As I was talking, I could tell that their guest was getting very excited. After a minute or two, he interrupted and said that he just heard about me the day before from his neighbor, whose property stakes I located. He was JUST saying that he wanted me to detect his property but he forgot my name. And here I showed up and they were talking about me! Pretty big coincidence - LOL. 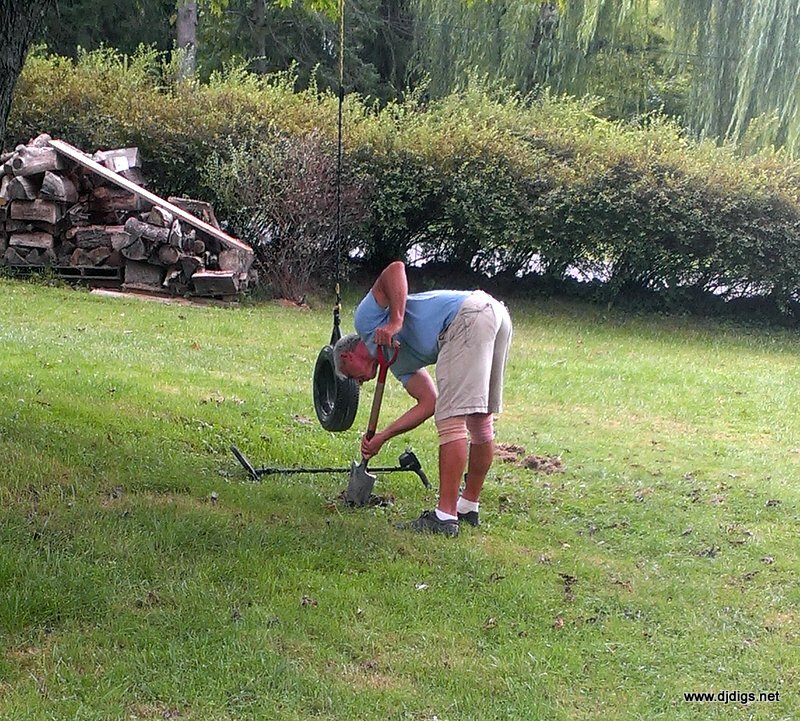 I dug a few more clad coins and some rusty relics and then the homeowners' friend asked if we could go do HIS yard! That was a first for me, I think. Two sites with one ask! After making sure that I was welcome to return, I said yes. And before I knew it, we headed to my house to get my other machine for this guy to use! It's always amazing to me to meet a complete stranger and form an immediate bond over history and/or metal detecting. So then, off we went to his place. His house was built in the 1950's and he explained all of the ground manipulation/alterations he's done over the years. We went to an original patch in the backyard. 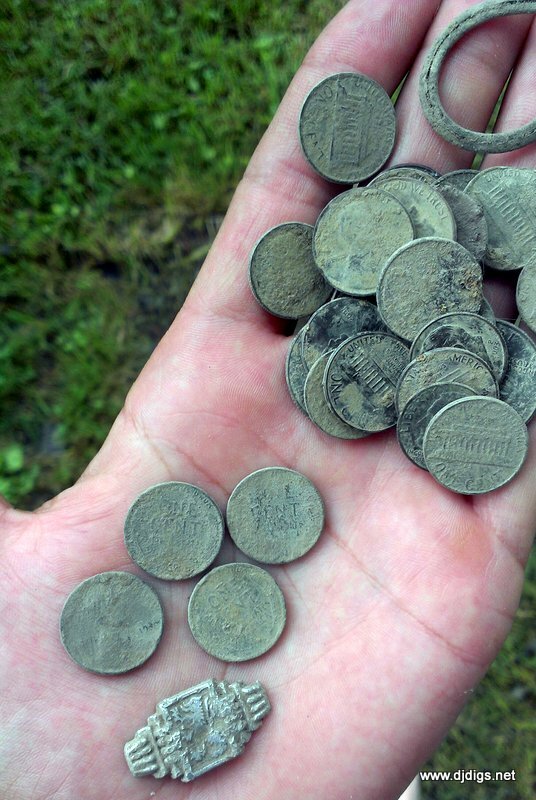 And right away we started finding modern coins left and right. We didn't come up with any old coins or jewelry, but we did form a new friendship - and he got a pretty good lesson on his first day out. As we talked history for a good hour or so afterwards, I could see the wheels turning... he was thinking of sites to detect. 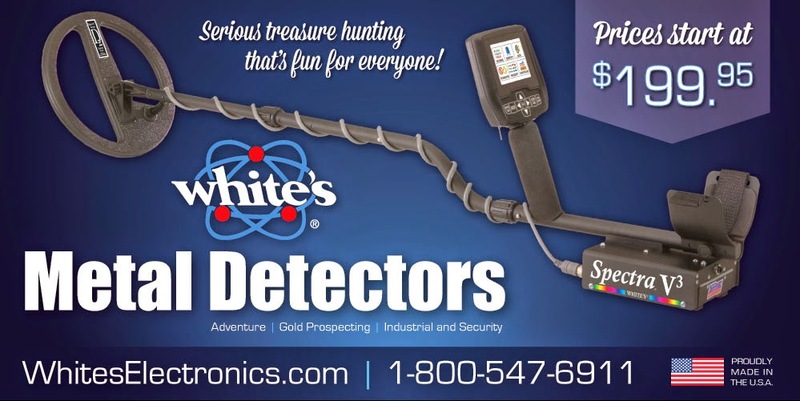 I told him if he comes up with any places to detect, he can gladly use my machine and we'll give it a try. Unfortunately, after another 20 minutes or so of good conversation, I had to get going. But I stopped back at my friend's parents' house to try to set up the next visit. I ended up hitting their yard for a half-hour. In that 30-minute period, I found 4 wheat pennies and a little dragon piece. So, maybe it's good that the weatherman was wrong. I listened to the forecast and didn't make plans for the day, but went out on a whim, and ended up having a great time! but I did reconnect with an old friend, make a new friend, and get permission for some new sites. All-in-all, it was a great day! WOO HOO! Coincidence, my arse. The karma gods were just smilin' on you for all the good you've done for others, my friend. YAY! Why I have always said "tell everyone you know about your pastime".....what do you have to lose? Funny how things work out .. way to go and good luck on future visits ! Very true! I've gained a few sites by random conversations with strangers. Thanks Mary! Nice of you to say!! !